In the latest phase of its ongoing retailer support programme, Repose Furniture is offering its UK retailers a Relaxor heat and massage system for just £99 (normal trade price £155). To benefit from this offer, retailers just need to quote October2017 between the 1 and 31 of October. 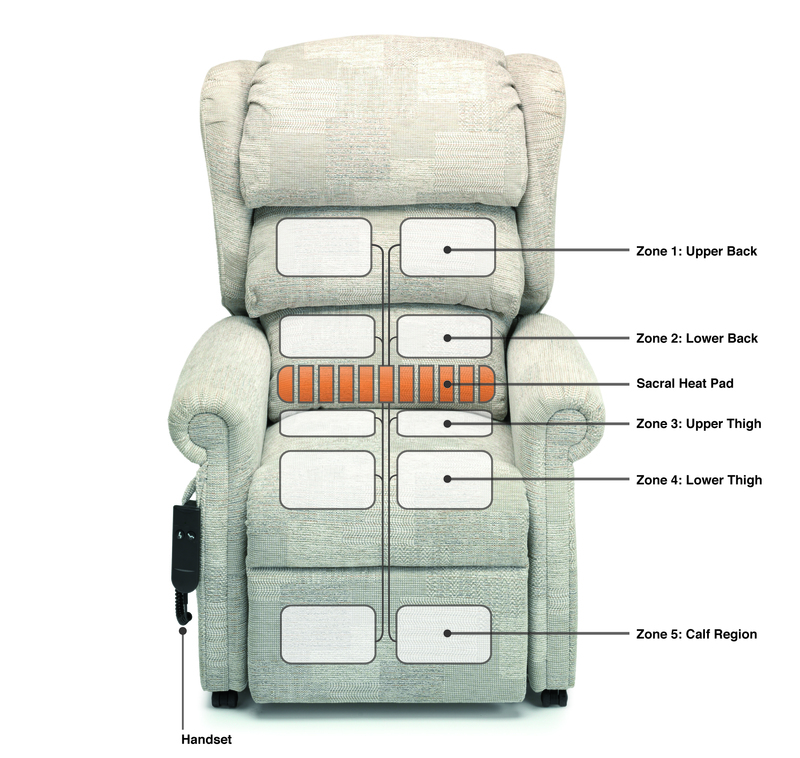 The Relaxor heat and massage system helps soothe tired and aching muscles with gentle vibration and warmth. A separate handset controls different vibration zones built into the chair to massage upper back, lower back, upper and lower thighs and calves and the user can choose their own intensity and speed of each of the pairs of pads. The heat pad in the bottom lumbar of the back cushion completes the relaxing process, exactly what is needed at the end of the day. “We have offered our retailers a special discount every month in 2017 and the response to this initiative has been extremely positive. We have taken the decision to offer the heat and massage system in October as we know many of our end users benefit from the positive effects of warmth especially at this time of year,” commented Managing Director Lisa Wardley.